Burning a flag: My thoughts of patriotism. It’s been too long since I’ve updated this blog, and I find that there are so many things I want to say that I don’t know where to begin. Too many times I started to write entries about the US election, and every single one of those entries got deleted upon further reflection. However, this is a blog about a citizen of the world (in Japan, though raised in Spain) so I have a strong opinion when it comes to patriotism and flags. Yes, the straw that broke the camel’s back is the recent controversy on flags. Patriotism is something I grew up surrounded in, yet was never a part of. Seriously, though, as the foreign child (with the strange name) in a provincial, almost rural town, it’s no wonder I was considered an “outsider.” Children would call me racial slurs, but boys will be boys, right? Who knows, maybe if I had been Spanish, or Catalan, this would’ve happened anyway --rendering my point moot. But still, the words they used --the words I grew up with-- were racist. It saddens me to admit this has skewered my perspective, but denial would be worse. So when I see patriotic events taking place, flags on balconies, graffities on walls, the rejection I grew up with makes my stomach churn. Sure, I could “get over it.” I have certainly improved in leaps and bounds when it comes to unpleasant memories, but patriotism is a sore spot. It’s not something I could possibly agree with. I’ll nod politely if you mention it, if you profess to love your country (as is your absolute right) but you will never hear me say “I love my country as well.” Ever. To me, patriotism is a wall. A wall that surrounds people, making them happy and snug and comfortable if they’re on the inside… and that shuts down the poor unfortunate ones who ended up on the wrong side. The ones on the inside don’t *usually* think of those outside their zone, and some even believe those on the outside deserve to be there. “They’re not one of us,” and some might even believe them if it’s yelled enough times. When I see a flag, I am reminded of that wall. I hear “I am snug in my world,” and see the poor fellows who ended up outside. You’re either in or out. That’s the thing about flags, there’s no middle ground. You might have more than one, but if you’ve got zero, you’ve got an absolute zero. Also, do remember what flags have meant over the course of history. Good things, yes, but too many bad things have been done in the name of patriotism (and religion, yes, yes). I am half-German and half-Japanese, raised in Spain. These three countries have a deep, dark history with self-love for their country and hate for the outsider, and I would be a fool to ignore what’s been written in the blood of millions. ※Flags are a huge trigger for me, but it’s one I’m willing to face in order to put my views out there. Because this is about a wall, about racism, and about all the children who are called names because they’re not on the inside. This might be an overstatement, but today as feel as though if it were up to all the bosses in the universe, the self-worth of a person would be based on their sales (ergo, how much money they contribute to a company). Today I was told I wasn’t being worth the company. Oh, not in those words, they were decorative and carefully spoken, but that was the hidden meaning behind them. If I wasn’t selling enough --if I wasn’t earning profit for these people-- I wasn’t worth the salary they wasted on me every month (a petty one, too). You know the funny thing? This was based on sales that haven’t been performed yet because they are next year’s. Yes, ladies and gentlemen, I was told I wasn’t making enough money next year. Does it matter that I 2016 isn’t over (h*ck, hasn’t even started)? No, all that counted was a sheet of paper with small projects because until now I have always been helping/assisting other people with their bigger projects. Who cares if most jobs are sudden and most foreign clients will come to me because I am good with languages? That stupid piece of paper which proves nothing gave me half an hour of an earful of mean comments. Whereas last year I might have broken down crying, today I find myself genuinely not giving a cr*p. Let the bosses speak, let them complain and demean me. I am perfectly aware that my self-worth isn’t linked to an excel sheet, thank you very much. They’ll be watching me and will want to see an improvement next year, they said. Well, do whatever you please. I’m proud of my performance this year, and I will be better because people improve naturally. You just want a prettier paper with a 2017 imprinted instead of 2016. Meh. I might try to give it to you, but I wouldn’t count on it. There is something very exciting about Tokyo and the lifestyle here. Of course, anyone who is within the corporate world will tell you it’s hard. Long hours, periods of tons of work and ridiculous free-time (seriously, where is the balance? ), the sacrifice… But there is something about it. I will not lie to you. I have wanted to call quits many times. Physically, mentally, emotionally, it is a lifestyle that drains me. I’m not meaning to generalize because there are people who can do it, who are doing it. Maybe it’s just me. But still, when people ask me (and I have been asked several times) “why are you still here?” I find that I cannot call it quits yet. I just get the feeling that there still is something left. There is something I still need to figure out. I haven’t learned enough. So, until I figure out everything and am able to say “yep, now it’s over” I will push forward. I think it’s always been that way with me. Of course, it’s not only the stable salary and the semi-predictable schedule (well, as long as there are no business trips involved), the amount of knowledge I have accomplished in a year here is way superior to four years at university. How a company works, how the money flows and how the economy floats is something that, had I not experienced it first-hard in a crash-and-burn course, I might have never completely understood. I don’t think I would have had the ability to grasp it. But what has changed me the most, what I am more proud of is how strong I have become. When I first entered this company, I would burn out my emotional endurance in the course of a day. Every day, when I got home, I would be so drained I would only eat, shower and sleep. By the end of the week, I would need Saturday and Sunday to pull myself together and function. Enthusiasm helped, of course, but the novelty wore out soon enough. Unfortunately, I have had to deal with very difficult clients. Fortunately, I dealt with them right at the beginning, so I can honestly say that --no matter how difficult other clients are-- if I survived that client, I can survive anything. I have cried time and time again because I couldn’t deal with the stress, with the pressure. But alas, crying doesn’t help (it’s a relief, but not a practical solution to life!). Clients might be difficult, they might be mean and downright nasty, but I have gained the strength to take whatever they might dish out at me and move on. Their anger is their problem. I can deal with more pressure and demands than a year ago, that is an undeniable fact. I might falter and slip here and there, but eventually I manage to get up. Mentally, emotionally, my foundations have grown stronger, and I am proud of myself for that. Still, for many of us (and my apologies to those who are not in the privileged position to say otherwise) women are a part of society, a pillar. We can be business women, professors, in the police force or doctors. We might still put off by sexists comments here and there (some not event meant to be sexist! ), but human beings aren't known for being kind creatures. We work hard, we study, get a degree and start a business career and fight to get to the top. And yet, I have noticed that here in Japan things aren't there quite yet. Don't get me wrong, women get opportunities (statistically speaking less than men, though) and you see women in business meetings and hospitals and at universities. You see them walking proudly, heads up high (bowing to their customers, of course). 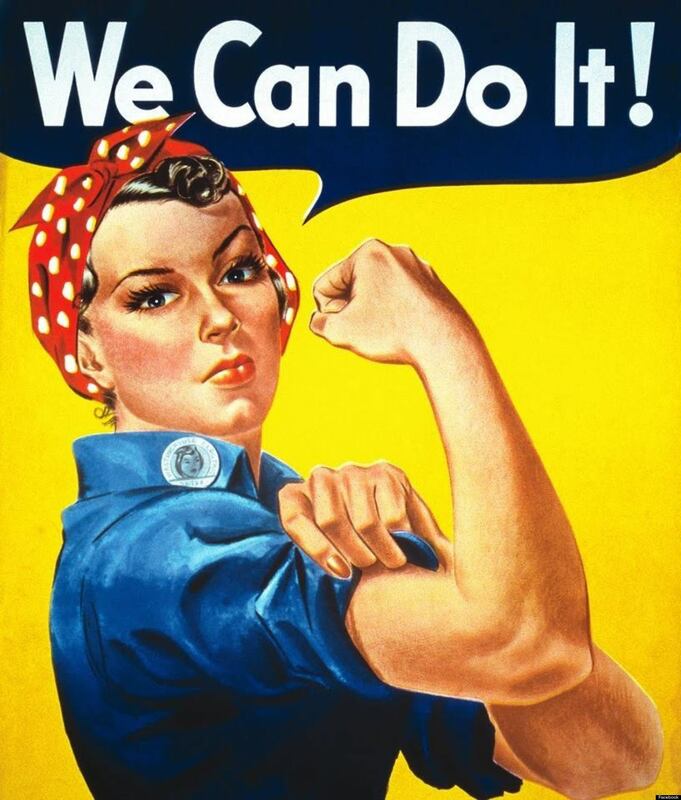 There are still issues like the fact women are the ones supposed to bring tea to men, or that we do get lower salaries than men, which is unfair (I might leave that for another post) but we still don't give up. The fun part though, is that in the Western world we often view ourselves as fighters. We demand the same rights and responsibilities as men, we demand equal treatment and we get mad when we don't get it. The interesting thing is that here, in Japan, I have noticed a trend in women that breaks up with that view. Yes, you read correctly. I am not talking about men who want their women (bad use of language) at home, cooking their meals, cleaning their homes and raising their children. Not about men who expect women to be docile and weak and have power over them. No. I am talking about women who want to stay at home cooking meals, cleaning homes and raising children. I am talking about women who would rather be docile and weak and have men make the decisions for them. Let's see how this really plays out, though. I have met these women, and they are highly educated and in their mid-twenties. It's shocking. It's devastating for feminists to see fellow women willingly chose to quit their jobs. Don't get me wrong, staying at home is a choice and I respect it. If it is a choice to begin with. My idea comes from the fact that these women do not stay at home because they want to, but because they cannot handle not to. The Japanese society is so strict and harsh that children are expected to excel, to study all day long. They only have a brief moment of relief during university (depending on the degree they choose to pursue) and then it's time to work as a part-timer or full time in a company. And, for those who haven't been reading my blog or the dozens of blogs out there on Japanese companies, or the hundreds of newspaper articles, being in a company is tough. The overtime work (in many cases unpaid), the sacrifices, the stress. Having to wake up early and stay until the last train, day after day, because your boss keeps dumping stuff on your desk. The sexists comments, here and there, and the fact that you work as hard as your fellow workmate who happens to be male who for some arbitrary reason such as gender earns more than you do. We are expected to either work like a mule or to look pretty and waste our talents. There is rarely a healthy middle ground (if you are a women and in this situation and have managed to find a balance, please let me know, I need to interview you). So, women are stuck in companies. Not all of them, though. Some women somehow manage to overcome these difficulties and rise up high, and I think that is awesome. Yet, for every one woman who beat the system, how many are there who'd rather just give up? Even if you have the will to fight, you end up so tired due to lack of sleep and proper nutrition that you wilt. So these women who cannot fight, they would honestly rather marry and stay at home. I am not saying cleaning a house and taking care of children isn't hard work, please do not get me wrong. But those sacrifices are done for your family, not for a faceless president of a company who couldn't care less about you or your loved ones. There is a trend of young women who aren't willing to fight a system which is unhealthy, not if they have another option. Please note that I am not criticizing these women who have given up (also, because let's face it, it socially "okay"). 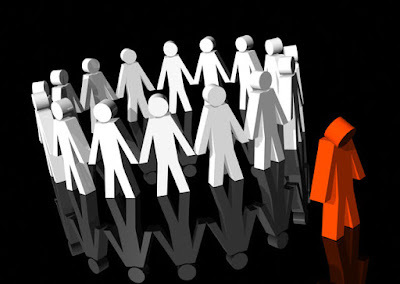 I am criticizing a system which makes gifted people give up a chance in order to live. I'm going to start asking questions to men from now on. "Would you give up your job if you could stay at home and let someone else do the slaving around?" I'll update on the findings. Yesterday I was asked something that would be considered (I believe) quite outrageous in any Western company. For some reason, I just laughed it off and didn't even think about it being strange and inappropriate, which was alarming because it's means I'm also getting used to the "not so-ok stuff" going on. Due to a project with a very tight budget, I was requested to ask our providers for a discount, which is quite common in the business world as anyone will tell you. That is okay. Until yesterday, where I was asked to request said discount in a "feminine, sweet way" because "guys are intimidated by strong-sounding women". If there had been any, and I mean any, other reason, I would have shrugged it off. You're still quite new, you haven't known them for long, you're trying to appeal to their soft spot (still dodgy?) but because "guys are intimidated"? Really? I was dealing with an American provider, therefore I used the straightforward-approach. Say what you want in a polite manner, but without any leaks or possible misunderstandings. With Japanese providers it's different because it's cultural, not... sexual. Men are polite to men, as women to women and men to women and vice-versa. Everyone's polite to everyone, full stop. But this? This was the first time I have felt singled out as a woman (he probably meant well, I know he did, but nope). The more I think about it, the more shocked I feel. Well, I fear I am not able to update this blog as much as I'd want to! I can testify though that it is due to work. Of course. After all, in just 4 days it will be a year since I first started working for a Japanese company. I have always been interested in the working system in Japan. After all, a quick search in Google will tell you everything about the karoshi and suicides, and if you dig a bit further you will read about the nomikai's (drinking parties which you have to attend whether you want to or not), the gossips (Japanese people love to gossip, yes, even the gruff-looking salary-man), the company-first/private-life-later (seriously), and the horrible, unending (and more often than not) unpaid overtime. If you insist on looking at the bright side, though, some articles will tell you about the sense of harmony and the benefits of the employment system (pensions, bonuses, commissions, etc.). I read all about it. I must have read at least five books on Japanese companies and hundreds of online articles and dozens of blogs. But I just had to try to it. So last year, I took a leap of faith, took all my savings and traveled across the world and here I am, a year later. There are many things to discuss about Japanese companies (it is a fascinating story, and I'm not even being sarcastic). But what I want to write about today is time. I remember posting about half a year ago that it was all about managing time and showing you cared and yadda, yadda, yadda. I'll keep that post just to remind myself how naive I was, and maybe to show my readers (if I've got any!) how my thinking process has evolved (devolved?) since then. Get to the office early (on time is late) and start to work, immediately . Most people might check their e-mails first thing in the morning, but in Japan you're expected to be 24/7 with your phone which of course is set up with your work e-mail (duh), so you can just go on working at home, during the weekends, etc. And when there is tons of work, there usually is so much stuff going on...! Writing up quotations, managing the project's costs, answering the phone and e-mails asap (as in, right now), joining meetings which take forever and accomplish nothing... I'm the kind of person who is always looking at the clock, but there are times when suddenly three hours have gone by and you're just confused (because you've done so much accomplished nothing in three freaking hours). And you end up catching a late train, munch on some combini lunch-box, splash in the bathtub, roll in bed and hope you'll survive the night. And then there are days that, because the day before you managed to do so much, are pretty dull. Or something. And then you wonder whether yesterday's death-like efforts were worth anything and you realize that, had you not given it all, files would be incomplete and the phone would still be ringing and production might be delayed a day or two and the whole project would be messed up. Because doing overwork is such an extended practice here in Japan, most workers have set their own pace. Sometimes, the amount of work can be done within the 8 hours stated in your contract, but why hurry when you have to stay anyway? Isn't it better to take it easy, take breaks and go at your own pace? Whenever I have talked to foreign workers about the Japanese system, most have agreed with me that the Japanese system, and I apologize if this offends anyone, slow. Any decisions made with first must be consulted with the bosses and their bosses and their bosses after that. Any ideas will -if you're lucky- be talked about again and again and again and who knows if any conclusion will be made in time. There are long business meetings, one fifth of which will be spent with pleasantries and -I kid you not- lengthened with the extremely long grammatical forms of the polite business Japanese language. There will be long e-mails, lists, databases, and everyone will be CC'd and expected to follow. Time is a strange thing, especially in this world called kaisha (company). PS. 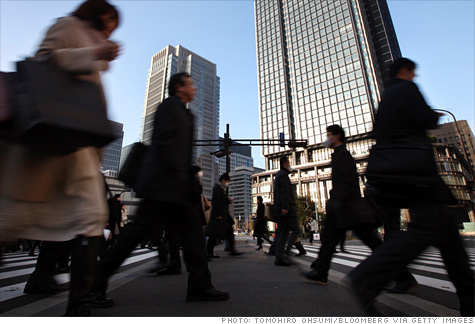 There is an extended rumor that foreign companies in Japan do not do overtime. Ha. Ha. Ha. Last Saturday was one of the best days EVER. So here I am, sharing it with you because there is no way I will not brag about it. Saturday, which was supposed to be a very normal day, turned out to be magical. It started off simple and nice; I had my cup of coffee and chatted with one of my best friends Paula, who is also my roommate, played some PS3 (recommendation of the year: Dragon’s Dogma DarkArisen), ate lunch and cleaned the house a bit. Then, I was going to go out with Paula to check out some books (ended up buying “The Complete Grimm's FairyTales”) and meet up with her boyfriend for sushi later. Since Paula knew this “sushi place which is super good and cheap and you’ll really like it”, she showed us around and got us lost a few times, and then we ended up going to this fancy… Izakaya? And just when I was about to question Paula’s choice of sushi restaurant (since it looked quite pricey) we were shown to a room and I was shoved into it. And it was full of people, so I opened my mouth to say “hey, wrong room!” and then I realized I recognized those people! "Surprise!!" they bellowed, and I was shouting "What? Huh!?" How on Earth Paula managed a Surprise Birthday Party when we LIVE together is a complete mystery. So, we started talking and laughing, and the incredible food started coming around and there was this TV screen which was a Karaoke (but it was ridiculously expensive, so we gave up on that, obviously) and this one waitress which seemed to be confused and stressed and this other waiter who obviously wanted to throw us off the building…! It was downright hilarious! And the food was AMAZING. The people were great, and it was just impossibly magical. And THEN, brr brr brr. 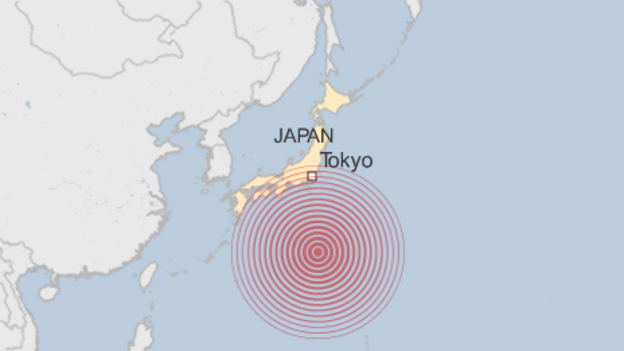 Yes, the 8.5 magnitude earthquake, which was the second strongest in Japan since 1885, after the 11th of March 2011. It was stronger even than the Kobe earthquake in 1995, which was a 6.8 and killed over 6,000 people and left over 300,000 homeless). The whole room swayed from right to left and back, and it was long. The scary part, other than the intense swinging was the length. We didn’t have the sense to look at a clock, but I would swear that it was over a minute long. We immediately checked twitter and Yurekuru (an app which warns about earthquakes) but since there was absolutely no signal in the shop we were left without information. We finally, though, somehow managed to get in touch with a few people outside to let them know we were okay (since the magnitude alone guaranteed its appearance in the news). So, after a few relieved laughs, we went back to our party and kept on going as though nothing had happened (understand that, fortunately, nothing really did). Then the miracle. The party was only the tip of the iceberg, because a tablet was shoved under my nose and then the beauty began. One by one, my friends’ face, smiling and laughing, dancing for me, came on screen and I was filled with such immense joy, love, happiness and life that I still choke even now and I must stop this sentence or I’ll start crying again. We were gently kicked out of the room after out time limit was over and we went over to take some photos (Purikura) to celebrate, and then we headed towards the station because most people were busy in the morning. And then another adventure began. The JR lines were down. Most of the group had to use JR to go home, so we searched for alternatives ways (fortunately, Metro lines were still running), but Paula and her boyfriend (both of whom were going to go to his house) and another friend, Oriol, were left stranded so they were going to come and stay at my place. Oriol, though, decided to go home anyway because the JR lines started up again (past midnight, too!) and Paula, her boyfriend and I decided to go to the station before mine and go to Karaoke. So, what can I say? It was beyond awesome. I must confess that I was being blinded by stress and frustration. It’s not that I hate my job (sometimes it does get overwhelming, though) but I have been under so much pressure I was going nuts. I could only see the days in front of me in terms of meetings and deadlines, and waking up every day was a drag. Still, last Saturday reminded me that that is not my life. My job: no, that’s not my life. I decide what it is, and it is my friends. My most adored friends, the people I love, and the people who despite my faults and shortcomings love me. These people are my world, and they are the reason I wake up in the morning, they are the reason I smile. They have reminded me of it, and I cannot love them more because there isn’t enough in the universe, because I give it all to them. I thank you all. I love you all.